To make spice paste, use a pestle and mortar to pound the cashew nuts and toasted desiccated coconut to a fine paste. Add the shallots, garlic, chillies, ginger, turmeric, white pepper, black pepper and long pepper. 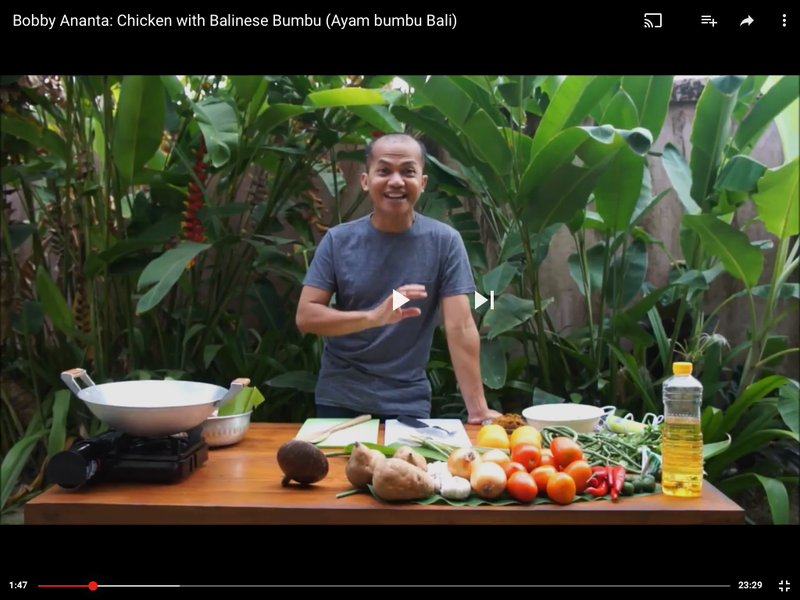 Heat the oil in a wok and fry the spice paste (bumbu) for about 2-3 minutes, stir in the chicken, lemongrass, galangal, lime leaves, bay leaves. Stir fry for about 5-6 minutes. Add the hot water, reduce to the low heat ad the lime zest. And simmer for about 45 minutes. Add the coconut milk and and add the remaining limes, and season well, cook for another 10-15 minutes, until the chicken is tender. Serve with rice. Ps : adding vegetable is important for this recipe, choose your favourite vegetable and add same time with the coconut milk.